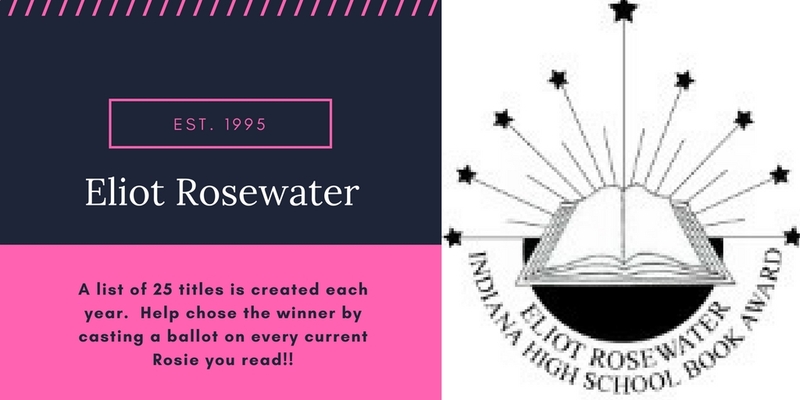 Established in 1995, The Eliot Rosewater Indiana High School Book Award strives to offer the students of Indiana the best reads. A new list is chosen and featured annually. Students may cast a ballot on each book read. Students chose the winner! For a look at all of this year's titles, watch the video below! Many of these titles are waiting for you in the Rosie display. If the title you want is not in, you can log-in to Destiny discover now and place your own Holds!! For past Rosies,look for "rose" colored dot. 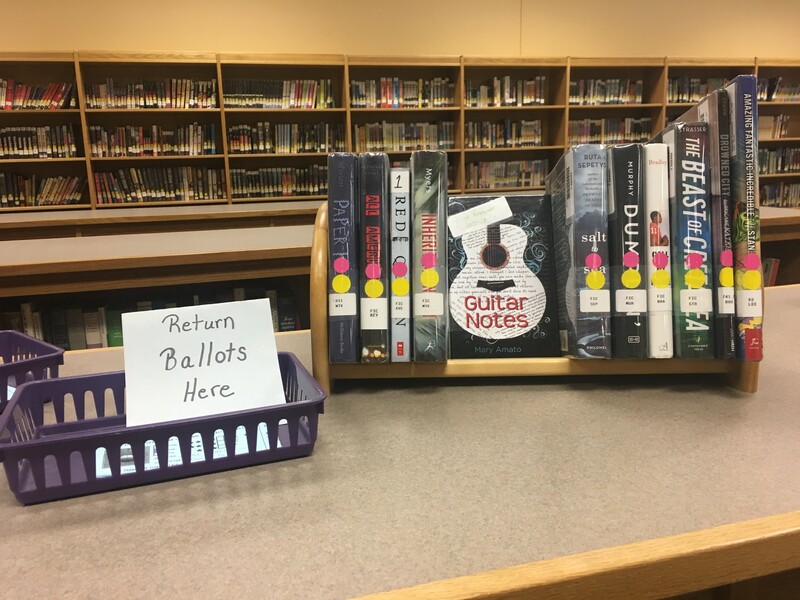 Every time you read a 2018-19 Eliot Rosewater, fill out one of the blue ballots located near the "Rosie" display in the Library Media Center, and help select the best book for Indiana high school students for 2018-19!